Green Flash Soul Style IPA now has a sister, Tangerine Soul Style IPA! 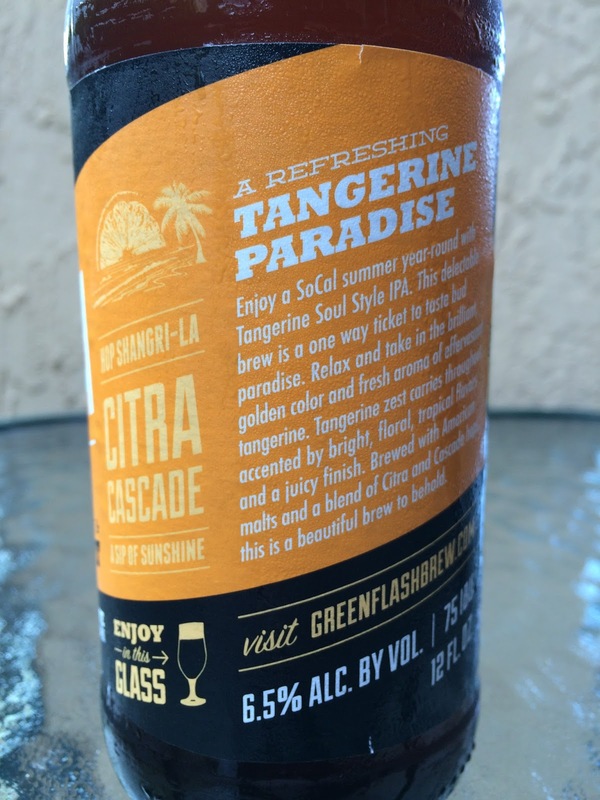 The bottle looks the same, with a tangerine adjustment to the name and a different story to set your expectations titled A Refreshing Tangerine Paradise. Also a new set of buzz phrases: Zesty & Bright; Hop Shangri-La; A Sip of Sunshine. Best By 23 AUG 16. 6.5% alcohol. 75 IBU. Hoping for my "one way ticket to taste bud paradise" here. Huge, bold citrus and tangerine forward aroma. Very juicy. Tons of tangerine, huge citrus. An initial sweetness is taken by a gigantic zesty hit. Floral, a little spicy, nippy hits on the palate. A touch of alcohol and astringency comes at the finish, which I didn't love, but was fine. 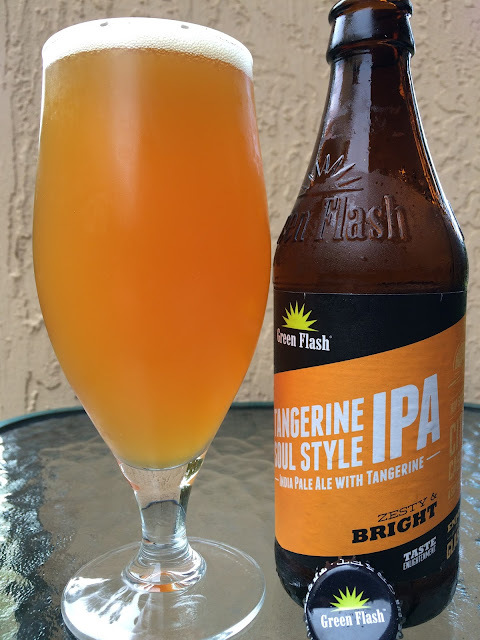 Solid though not a favorite, not even near a Green Flash favorite. But Soul Style is my style!